IASbet has really come along leaps and bounds since it first started. 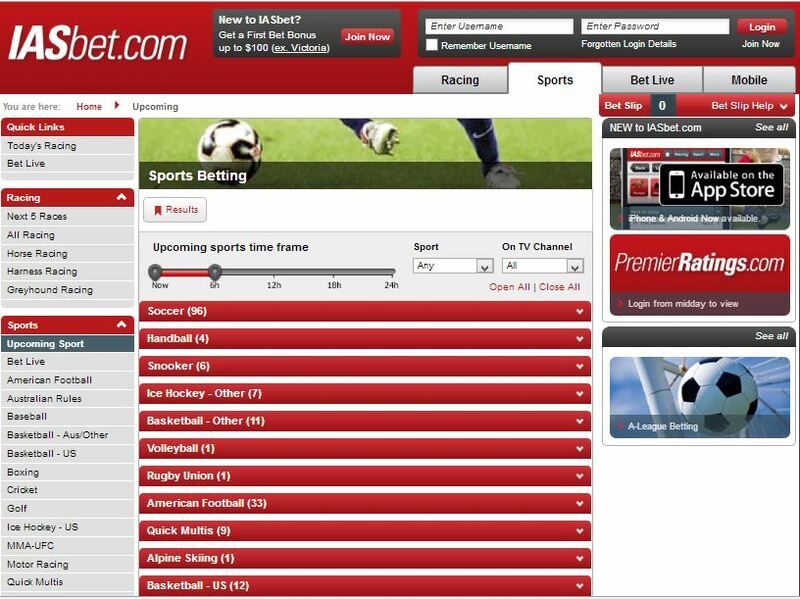 The betting interface is modern and feature packed, while the sports betting selection has sufficient variety. Analysing all their features, we can truly say that IASbet is well focused towards the Australian market but it definitely does not outcast overseas players. Apart from very few weaknesses like unavailability of Live online betting to Australians and stern registration process to non-Australian players, IASbet is definitely a bookmaker for punters to consider. 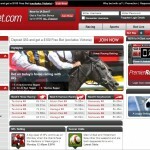 This Australian bookmaker comes with high reputation among Aussie bookmakers and for good reason. Find all the ins and outs of IASbet here in our review. IASbet (International All Sports) is a wholly owned subsidiary of the Sportsbet group of companies and is licensed by the Northern Territory government in Australia. All jurisdictions are highly regulated ensuring your money is safe, secure and your winnings are paid on time in full, every time. 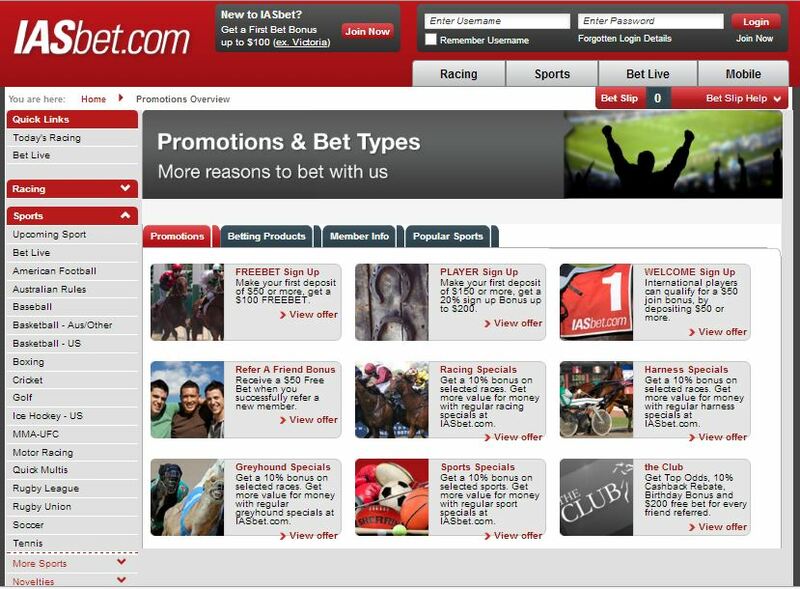 In 2011, Paddy Power, one of Ireland’s biggest and most successful bookmaker, acquired 100% ownership of IASbet.com. IASbet was established by Australian bookmaking legend Mark Read in 1996 and he brings over 30 years of wagering & racing expertise to the bookmaking game which has seen IASbet become a highly regarded bookie in Australia, especially with its wonderful racing product. IAS follows a similar website structure and template to that of Sportsbet (also under Paddy Power). 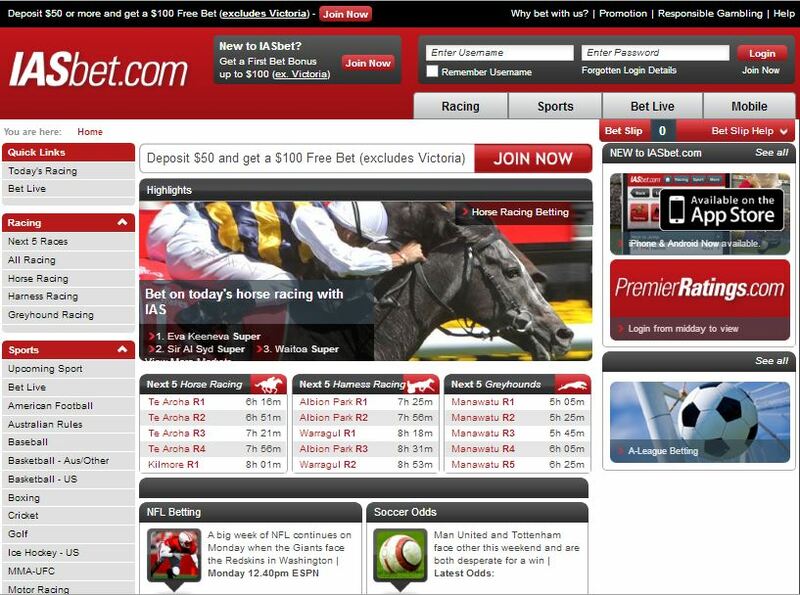 The website consists of the three-column layout that is common to many bookmakers. The left column displays available sports and racing options. Popular markets are displayed in the Quick Links box at the top. The website is also well appreciated among betters because of its easy navigation which enables techies as well as newbies to the world of online gambling to move around the site without getting lost.A slight drawback of its interface is experienced when the pages refresh every time a sub-market is opened; it’s a shame that the sub-markets aren’t dynamically loaded to save time. One of the interface’s strengths is its multi betting functionality. A multi bet option using all acceptable single bets is automatically provided when there are two or more selections in your betting slip. If you click on ‘Other Betting Options’ you are shown the exotic multi options such as Doubles, Trixie, and Patent. The offer of markets by IAS bet is divided into two large groups Sports and Racing. In total they offer more odds in more than 30 markets. Besides sports and racing they also offer odds in entertainment and politics. Although Racing is featured as the top event, sports like Australian Rules, Baseball, Rugby League Soccer and Tennis are also highly catered for offers a wide array of betting options and sub-markets in each field. There are now over 40 AFL markets, over 40 NRL markets, and over 100 new soccer markets across over 100 leagues. There doesn’t appear to be any gaps or holes in the breadth of sports and leagues offered. Besides the good old classic betting IAS bet offers Live betting and Mobile betting. IASbet has apps for mobile devices available in both Android and iOS where players can deposit, place bets and review their betting history. Due to Australia’s Interactive Gambling Act, live online betting is not available for Australians. Australian customers must phone place in-play bets. However, it should come as a delight that their phone betting service is easy and available 24/7 to Aussies. However, the minimum wage required for phone betting is $50.00 which we are sure some punter might find too high. The company’s minimum requirement for an online bet is $0.50 dollars, which means punters of all calibers are able to enjoy betting with IASbet. The odds format presented in IASbet are the standard EU odds or decimal odds. IASbet offers a range of bet types such as Fixed Odds (1×2), Live In-Running Asian Handicap, Over/Under, Combos, Live In-Play Betting, Half Time / Full Time, First Half, Double Chance, European Handicap, Winning Margin, Correct Score, First/Last Player To Score, Total Corners, Total Goals, Odd/Even Goals, Total Bookings, Special Bets, Future Bets, Horse Tote board, Top Fluc, Win, Place, Quinella, Exacta, Trifecta, Flex and Multis. Depositing and withdrawing money is easy and superfast with IASbet. For Aussie players, depositing and withdrawing is really smooth and fast but there are stringent requirements for overseas players when it comes to funding your account and withdrawals. Best of all, IASbet will let you open a credit account and bet without waiting for deposits to clear and punters are instructed to understand their terms and conditions carefully. A feature that players might find very appealing is the low minimum deposit requirement for deposits (except Cheque and Bank Transfer). If players wish, they can deposit as low as $5.00. 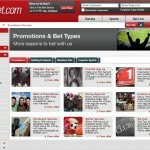 IASbet offers a good variety of bonuses and promotions, much of which are dedicated to Australian players. The bonus offers available for new registered players are mainly available only for customers from Australia; they only offer one welcome bonus for customers coming from the rest of the world. Along with great incentives for new members, IASbet provides a lot of new and brilliant promotions for their existing customers, including those below. Various terms and conditions are applied to each of the bonuses and promotions offered. For example, Free bets must be placed within 30 days of being issued; free bets not placed within this period will be revoked (i.e. removed from the account). Before any withdrawal the qualifying deposit and free bet winnings must be turned over (bet through) once in full (x1), and your bets must have settled (resulted). If the turnover requirements have not been met prior to any withdrawal, or within the 90 day timeframe, the free bet winnings will be revoked. Similarly there are other T&C’s which can be reviews in their promotion page. IASbet has a ‘Live Chat’ option on their website where you can talk to an online customer service person in real time to discuss and issues or questions you may have. Apart from that, IAS offers a wide range of mediums through which their clients can contact them.